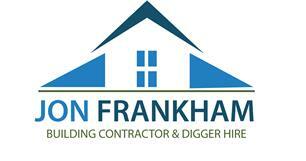 Jon Frankham Building Contractor - Builder, Driveways/Patios/Paths based in New Milton, Hampshire. I am a local builder who has been trading for over 35 years as a family run business. No job too large or small from Extensions to Drainage, Patio, Repointing, Garden Walls and much more.Please do not hesitate to contact me to discuss your requirements and an estimate.